Thank you for participating in BC Water Week! This May, organizations, communities and individuals from across the province showed their love for BC water. Whether you held a water barrel sale or hosted a watershed tour or simply talked to your children about the value of our water resources and systems, thank you for taking part in BC Water Week from May 1-7, 2016! Why do we celebrate our water systems? We often take for granted the natural resources as well as the pipes, pumps and people that deliver safe and reliable water and wastewater services to our home and businesses each day. Tap water protects our health, environment, and quality of life. We all rely on clean, safe water to drink and wash, and to flush waste from our homes and businesses. Our water systems deliver fire protection and support our economy. Because of tap water, we stay hydrated, healthy and happy. While water is provided by nature, there is a real cost for the pipes, pumps, equipment and people who ensure it is safely delivered to our taps and returned to the environment every day. Aging infrastructure, population growth, strengthen regulations, seismic hazards, and climate change are driving the need to invest in upgrades and renewal of our water systems. If we aren’t willing to pay for these essential systems, our health and prosperity are at risk. We can each do our part to protect our source waters from pollution, practice water conservation, and encourage our elected officials to make water and sewer system renewal and top priority of community investment. As part of this year’s BC Water Week celebrations, we encouraged British Columbians to take action by pledging to conserve, protect and support our water resources. We are excited to share that more than 5,200 pledges were taken during April and May and this number will keep growing as we continue to raise the awareness about the importance of water systems. The BC Water & Waste Association held the third annual “Best of the Best” Tap Water Taste Test on May 3 at our Annual Conference in Whistler. The event featured entries from 15 municipalities and regional districts and a panel of expert judges, or “aqualiers,” including 2013 BC Sommelier of the year, Samantha Rahn. The taste test was staged like a typical wine-tasting event, and water samples were evaluated based on appearance, aroma, taste, mouthfeel, aftertaste, and overall impression. While all of the entrants received high ratings from the judges, the District of Hope earned the top score and the title of “Best of the Best”. 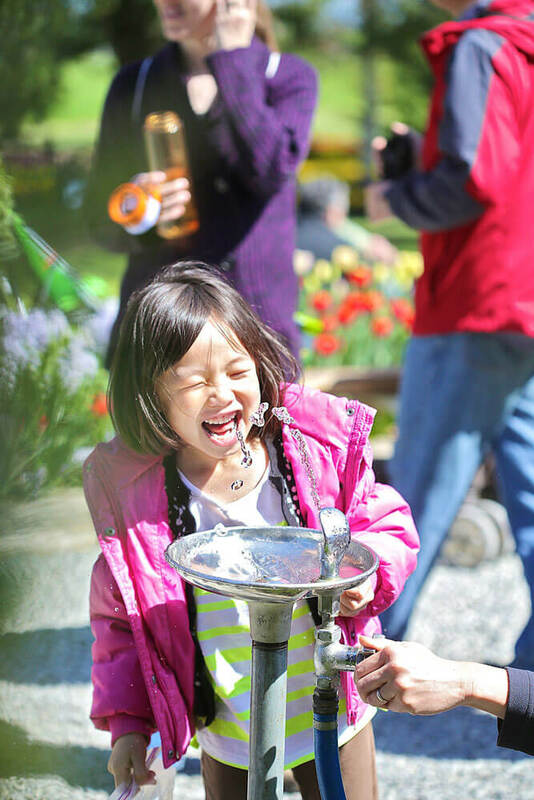 The event is a fun way to spotlight our great drinking water during BC Water Week, but more importantly it helps raise awareness about the important role our water systems play in protecting public health and the environment. Read more about the 2016 “Best of the Best” Tap Water Taste Test in this article from the Vancouver Sun. Did you go above and beyond this BC Water Week to educate friends and family about the value of water? Did your community hold an innovative event to celebrate our water resources and systems? We’d like to hear about it! We will be profiling stories from across the province on our Value of Water blog in the coming months. If you have a story you’d like to share, please send the details to jgarwood@bcwwa.org. We also gratefully acknowledge the financial support of the Province of British Columbia through the Ministry of Community, Sport and Cultural Development.